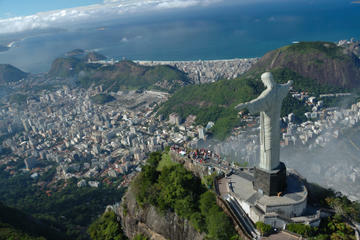 Experience the top sightseeing tours of Rio de Janeiro with special offers. Riodejaneiro.com offers best things to do in Rio at reasonable cost. Select from our various budget tours and excursions to make your holiday more enjoyable without wasting your time, money and energy. The various package tours include cultural and theme tours, helicopter tours, bus & minivan tours, city tours, full-day tours, half-day tours, private tours, super savers and adventurous tours. Blend two adventurous tours to a lively Super Saver tour to enjoy the panoramic views of two of Rio de Janeiro’s finest attractions, the Sugar Loaf Mountain and Christ the Redeemer Statue. Set off to the Sugar Loaf Mountain to enjoy the striking view of the city in a cable car. Then in the afternoon take off in a helicopter to get the aerial views of landmark locations such as Copacabana Beach, Cinelandia Square, Maracanã Stadium and the statue of Christ the Redeemer on top of Corcovado. 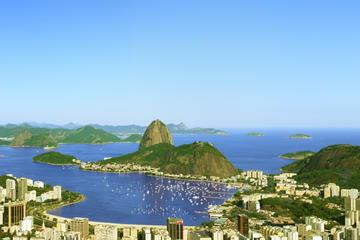 This 5 hours tour will give abundant photo opportunities to make your trip to Rio unforgettable. Combine a full-day tour of Rio de Janeiro’s top attractions with an evening of samba at the Ginga Tropical Show! This is the ultimate day out in Rio - enjoy a city tour of downtown attractions like the Metropolitan Cathedral and Cinelandia Square; ride the cable car to the top of Sugar Loaf Mountain and the cog train to the top of Corcovado Mountain; see the statue of Christ the Redeemer; marvel at amazing views of the city; and end your day with a colorful dance performance that celebrates Brazil’s cultural roots. Hotel or port transport, lunch and dinner are included. Take some time out of your Rio de Janeiro vacation and learn about the local Brazilian culinary scene. 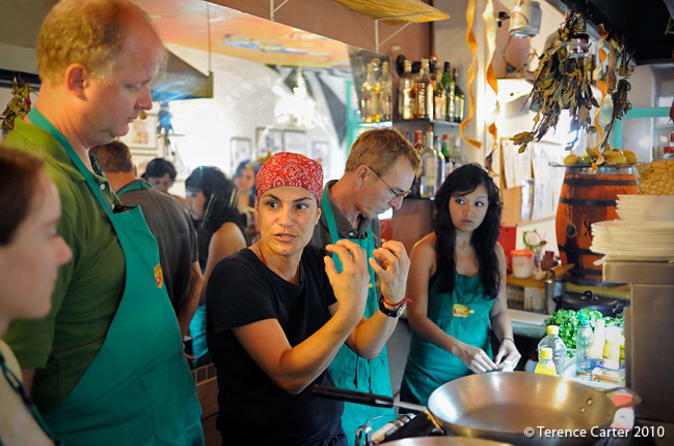 Located in the Centro neighborhood of Rio, this small cooking studio offers visitors an insight into the cooking techniques, ingredients and flavors of Brazil. Cook the meal yourself and see just how good you are at fulfilling some Brazilian recipes!